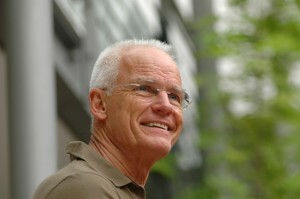 Lama Ole Nydahl is one of the few Westerners fully qualified as a lama and meditation master in the Karma Kagyu tradition of Tibetan Buddhism. Ole Nydahl and his wife Hannah became the first Western students of H.H. the 16th Gyalwa Karmapa in the late 1960s. Having completed several intensive years of study and training in Buddhist philosophy and meditation – including the profound practice of Conscious Dying (“Phowa”) – the 16th Karmapa requested Ole Nydahl to begin teaching Buddhism in Europe and around the world. Since then, Lama Ole has transmitted the blessing of the Karma Kagyu lineage in a different city almost every day, constantly traveling the world and and teaching. His dynamic teachings and the depth of his knowledge are an inspiration for thousands, who attend his lectures and meditation courses. Having founded over 600 meditation centres for Diamond Way Buddhism in 44 countries around the world, Lama Ole Nydahl has been a major driving force in bringing Buddhism to the West. His unique synthesis of modern style and ancient wisdom helped create the largest body of students practicing Diamond Way Buddhist methods in the West. Lama Ole Nydahl is recognized as a Buddhist master or “lama” in the Karma Kagyu school by Shamar Rinpoche, the second highest ranking lama in the Karma Kagyu hierarchy after the Karmapa. Letters from authentic Tibetan sources including H.H. 16th Karmapa attesting to Lama Ole’s status and activity are available on the recognition section of Lama Ole Nydahl’s official website. Lama Ole Nydahl is the author of several books including The Way Things Are; Entering the Diamond Way; Mahamudra; Riding the Tiger, The Great Seal, Buddha and Love, and Fearless Death. 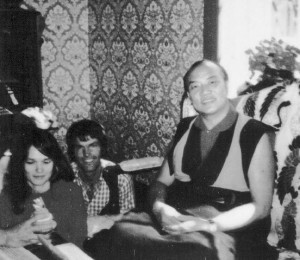 While Lama Ole visited the UK accompanying the 16th Karmapa on his tours in the West, it was not until 1994 that he was first invited to teach here and establish a Diamond Way Buddhist centre. Since then, Lama Ole has visited the UK once or twice every year. So far he has given lectures and courses in Cambridge, London, Liverpool, Edinburgh, Reading, Exeter and Brighton. He has also given two Phowa courses – in Cambridge (1996) and Shrewsbury (2004). See our events timeline. in 2013, Lama Ole Nydahl has visited London twice, once in January to symbolically open the Beaufoy Institute as our new London Diamond Way Buddhist Centre (read more about Lama Ole Nydahl in London January 2013) and once in April to help with the redesign and preparation of the building. 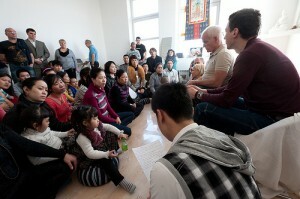 Read more about Lama Ole Nydahl in London April 2013. Our new London Buddhist Centre opened in April 2014! Having moved from our old Buddhist Centre in the Holborn area of central London, the Diamond Way volunteers have been working hard to renovate and restore the beautiful old building that is the former Beaufoy Institute. The London Diamond Way Buddhist Centre at the Beaufoy will be a home for meditation, benefiting the local community and the whole of London. Diamond Way Buddhism UK is a company limited by guarantee, company number 04459822, with its registered office at The Beaufoy, 39 Black Prince Road, London SE11 6JJ, as well as being a charity registered with the Charity Commission for England and Wales (charity number 1093406) and the Scottish Charity Regulator (OSCR) (charity number SC043670).